To find out more about how a Tacoma 18-wheeler accident lawyer can help you, give Craig Swapp & Associates a call today. Sharing the road with an 18-wheeler or semi-truck can be an incredibly intimidating experience. But being involved in a collision with one of these vehicles is so much worse. With their large size and incredible power, these vehicles can cause extreme damage and leave accident victims in dire straits. If you find yourself in such a circumstance, it’s crucial to take quick action to avoid serious financial fallout. Under Washington state law, you can file a personal injury claim against the liable party. But to improve your chances of securing compensation, you may need to team up with a Tacoma truck accident lawyer at Craig Swapp & Associates. Who Can Be Held Liable in Tacoma 18-Wheeler Accidents? When you’re involved in a crash with an 18-wheeler or semi-truck in Tacoma, things go a little differently than they would if you were involved in a collision with another private vehicle. Typically, the course of events that follows car crashes is relatively simple: You collect the insurance information from the other driver and file a claim. In some cases, multiple parties might have played a part in your crash. That’s because, in some instances, even if the truck driver’s actions physically caused the crash, his or her actions might have been the result of improper scheduling on the part of the trucking company or road hazards left unaddressed by the local road authority. With that in mind, your Tacoma truck wreck lawyer will need to determine what exactly led to your crash and the injuries you suffered. Doing so will not only help prove your lack of liability to the insurance company so you stand a better chance of recovering compensation, but it will also help pinpoint who you should name in your claim. This information is typically obtained through various channels. For example, your attorney may request the truck driver’s cell phone records if he or she believes a mobile device played a role in your crash. We may also rely on eyewitness statements, the police report regarding the accident, and photos and video of the crash and its aftermath. Another important set of facts your attorney will need to prove involves the nature and severity of any injuries you suffered as a result of the trucker’s negligent behavior. This is crucial because it helps determine the value of your claim and which damages you are eligible to recover. When you’ve been injured in an accident with an 18-wheeler or semi-truck and are struggling to make ends meet, you need to know that you have options. 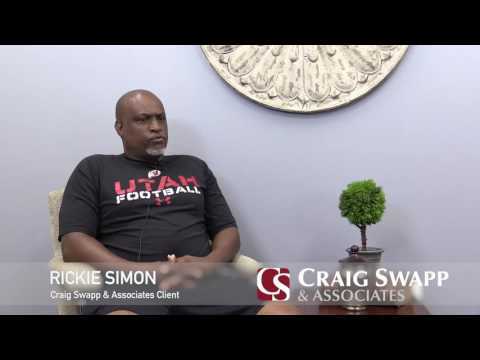 Legal recourse is within your reach, and our team at Craig Swapp & Associates is here to do everything we can to garner a successful outcome for you. Contact us to schedule a free consultation with a Tacoma truck accident lawyer. To set up a meeting, give our office a call directly at 1-800-404-9000. If you would prefer to get in touch online, fill out the online contact form at the bottom of the page.